Wáng Ānshí (Chinese: 王安石; Wade-Giles: Wang An-shih) (1021 - May 21, 1086) was a Chinese economist, statesman, chancellor and poet of the Song Dynasty who attempted some controversial, major socioeconomic reforms. These reforms constituted the core concepts and motives of the Reformists, while their nemesis, Chancellor Sima Guang, led the Conservative faction against them. He abolished tax immunities of big landowners. Forced labor on public works was abolished in favor of money payment. The buying and selling of essentials was carried on by the state. Wang Anshi was a visionary individual with a genuine concern for the welfare of others. He was brought down by vested interests that felt threatened by his reforms, some of which aimed to remove traditional class distinctions. Under the Song Dynasty, the unprecedented development of large estates, whose owners managed to evade paying their share of taxes, resulted in an increasingly heavy burden of taxation falling on the peasantry. The drop in state revenues, a succession of budget deficits, and widespread inflation prompted the Emperor Shenzong of Song to seek advice from Wang. Anshi was born December 18, 1021 and was the third of seven sons, he also had three younger sisters. Though Wang was from the south, he came from a family of jinshi degree winners. He himself placed fourth in the palace degree exams in 1042. He spent the first 20 years of his career in regional government in the Lower Yangtze region. During this time, he gained practical experience in meeting the needs of the common people. This experience guided his analysis in formulating solutions to what ailed Song society (Mote 1999). Wang believed that the state was responsible for providing its citizens the essentials for a decent living standard: "The state should take the entire management of commerce, industry, and agriculture into its own hands, with a view to succoring the working classes and preventing them from being ground into the dust by the rich." Wang came to power in 1069. It was here that he formulated and promulgated New Policies (xin fa 新法). His reforms were classified into three groups: 1) state finance and trade, 2) defense and social order, and 3) education and improving of governance. Some of the finance reforms included paying cash for labor in place of corvee labor, increase the minting of copper coins, improve management of trade, implementing plans to lend farmers money when they planted to be repaid at harvest. He believed that the common people and their well being were the key to the strength of the state and thus, he made it a priority to address their needs (Mote 1999). To destroy speculation and break up the monopolies, he also initiated a system of fixed commodity prices; and he appointed boards to regulate wages and plan pensions for the aged and unemployed. A centerpiece of defense and social order reforms was the institution of the baojia system of organizing households. This was done to ensure collective responsibility in society and was later used to strengthen local defense. He also proposed the creation of systems to breed military horses, the more efficient manufacture of weapons and training of the militia (Mote 1999). To improve education and government, he sought to break down the barrier between clerical and official careers as well as improving their supervision to prevent connections being used for personal gain. Tests in law, military affairs and medicine were added to the examination system, with mathematics added in 1104. The National Academy was transformed into a real school rather than simply a holding place for officials waiting for appointments. However, there was deep-seated resistance to the education reforms as it hurt bureaucrats coming in under the old system (Mote 1999). Modern observers have noted how remarkably close his theories were to modern concepts of the welfare state and planned economy. 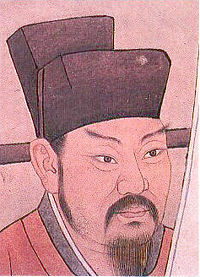 Although Wang had the alliance of such prominent court figures as Shen Kuo, imperial scholar-officials such as Su Dongpo and Ouyang Xiu bitterly opposed these reforms on the grounds of tradition. They believed Wang's reforms were against the moral fundamentals of the Two Emperors and would therefore prevent the Song from experiencing the prosperity and peace of the ancients. The tide tilted in favor of the conservatives due to renewed foreign conflict. He was even temporarily removed from power and imprisoned in 1075. He was recalled by the emperor the following year, but now he was seen as vulnerable and was openly attacked from groups of conservatives. Wang returned to Nanjing, which be preferred to Kaifeng. He wrote and engaged in scholarship through to his death in 1086 (Mote 1999). In addition to his political achievements, Wang Anshi was a noted poet. He wrote in the shi form, modeled on those of Du Fu. He is traditionally classed as one of the Eight Great Prose Masters of the Tang and Song dynasties. Anshi spent his life attempting to ease the pain of the less fortunate in imperial China. He expressed outraged that the upper class were allowed to use their position to avoid paying taxes and the lower class were forced at times to go hungry while paying their taxes. Anshi believed that rulers have a responsibility to those they represent. He was a visionary with genuine concern for the welfare of others. He was brought down by those whose vested interests were threatened by his proposed reforms; some of which aimed to remove traditional class distinctions. He is best remembered for the social reforms he tried to enact. This page was last modified on 17 October 2016, at 19:20.